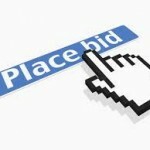 In my previous blog I discussed the growing trend of utilizing an Electronic Bidding system during silent auctions. I also talked about its current cost and discussed some of the pros and cons of using e-Bidding. Now, let’s delve into this subject a little further. As I see it, the e-Bidding system does have some limitations. Here are a few. 1) Your attendees have less “window shopping”. opportunities to see items that have a low number of bids. 2) There is no bid sheet to see the items that are not getting much attention. 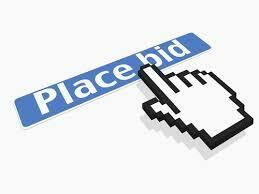 3) With e-Bidding there is usually a list of items with no bids. But once the item receives a bid the attendee has to search for the item on the device to see the current price. 4) The attendees have less interaction with other attendees and tend to stay clumped in groups with friends. 5) The BANDWIDTH of the facility is CRITICAL. Depending upon the location there might not be enough bandwidth to support all of the mobile devices in a small area. If this is the case an auxiliary system is brought in by the e-Bidding provider to supplement the house system. 6) Smart Phones and other electronic devices have limited battery life. This could create a problem if the bidding extends past 3 hours. Here are some additional advantages to using the e-Bidding system. 1) If the silent auction area cannot contain the number of attendees, this method allows them to make one pass through the silent auction area, determine the items on which they desire to bid, and then retire to a larger area to congregate and continue to bid. 2) Attendees can chat with their friends and be notified immediately when they are outbid. 3) Reconciling the silent auction is automatic as the bidding devices interface directly with most computerized auction software. 4) Everyone automatically knows if they have “WON” a silent auction item. So now, let’s recap. The main disadvantage of going to the e-Bidding system is the cost. Your silent auction should raise enough money to a good return on investment before considering making the change. Other disadvantages include: Older attendees tend to shy away from technology. It takes the human factor out of bidding. And strolling past the item does not allow the bidders to see the popularity of the item. The main advantage of going to the e-Bidding system is speed. This is especially true during “check out” since all the information is already interfaced with the computer. This is a big plus when your event has more than 400 attendees. Now, I must give you fair warning. Electronic Bidding is fun and different. And once you use e-Bidding you will likely have to bring it back year after year since your attendees will demand the service. Feel free to contact me for additional clarification or for information regarding who provides this service. You could send me a letter – but doing it electronically will sure be a lot quicker.